Home / Food Corner / Healthy / Recipes / Quick and Easy to make Healthy Corn Salad Recipe! 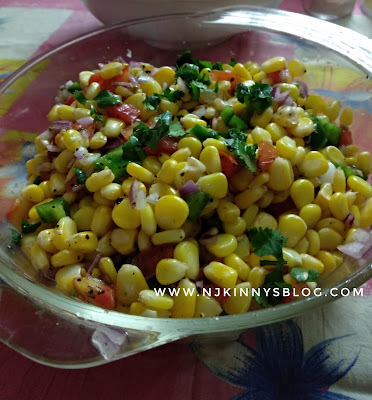 I love the crunchiness of corn/ maize also known as makai or Bhutta or challi in Hindi and the high dietary fiber content it provides, aids in digestion, is another plus for me. 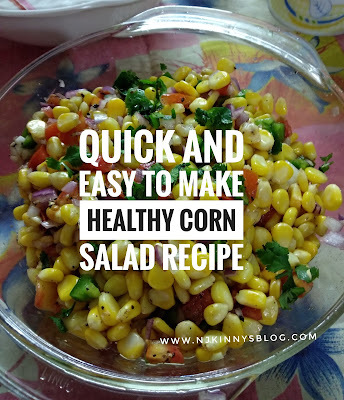 If you are looking for an easy and quick to prepare salad that is healthy, tasty and provides the full nutritional quota to you plus also helps you watch your weight then look no further because the below recipe is for you. Corn is rich in nutritional value. Apart from dietary fiber, it also provides Magnesium, Vitamin C, Folate etc. 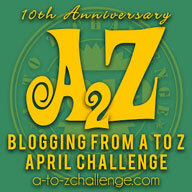 and above all else is low in fat! Tomatoes are rich in vitamin A, C, and vitamin K, as well as significant amounts of vitamin B6, folate, and thiamin. They are also a good source of potassium, manganese, magnesium, phosphorous, and copper. Mixed herbs give the salad a nice aroma and have anti inflammatory, antioxidants, anti bacterial, anti fungal and cardiovascular health properties. Onions contain Vitamins and minerals which improve immunity and have anti inflammatory properties apart from their blood sugar regulating properties. Capsicum contain Vitamin C and helps in strengthening the immune system, repairing damaged brain tissues, and lowering the risk of oxidative stress, pediatric asthma, and cancer. It also improves bone health. Beetroot is a good source of iron and folate (naturally occurring folic acid). It also contains nitrates, betaine, magnesium and other antioxidants. More recent health claims suggest beetroot can help lower blood pressure, boost exercise performance and prevent dementia. Lemon is rich in Vitamin C and aids digestion apart from detoxing our body which in turn help in burning up accumulated fat. 1) Take a salad bowl and mix all the above ingredients. 2) Garnish with coriander and serve to wow everyone! I hope you enjoy this evergreen salad as much as I do. With its healthy ingredients and easy execution, it is a favourite go-to recipe when I am looking for a filling but tasty salad. Share your comments with me in the comments section below. I love hearing from you.